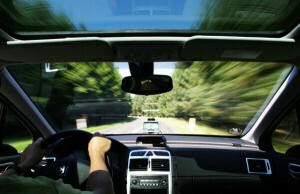 Most states require auto insurance and have laws that outline the minimum level of coverage you must buy. Each state has its own laws and sets its own minimum liability amounts. In states that don't require insurance, you must prove that you have enough assets in case you are at fault in an accident. If you don't have enough assets to cover your liabilities, you are required to buy car insurance. However, the minimum limits your state requires may not necessarily be adequate. A car accident can cost far more than the limits mandated by most states. To find out how much auto insurance coverage you may need, give us a call to talk to an agent or get a free online auto insurance quote from Braden Insurance. Since the residents of KY do reserve the right to decline to follow the no fault system, and since injury and medical expenses beyond a certain point waive the at fault driver's right not to be sued, liability insurance is also a requirement for all registered vehicles. Drivers must submit proof of insurance before they can register their vehicle. Kentucky mandates all drivers in a household to be covered by liability insurance and have proof of insurance in the vehicle with them at all times. Kentucky State law requires minimum Bodily Injury Liability limits of $25,000 per injured person up to a total of $50,000 for the combined medical expenses of all of the occupants of the vehicle, and Property Damage Liability coverage with a minimum limit of $10,000 to cover the costs of repair to damaged property, including the other driver's vehicle. This basic coverage is often referred to as 25/50/10 coverage. The state of Kentucky follows a "Choice No-Fault" system meaning drivers may reject the No-Fault system options and retain the right to sue (Tort system) for any auto-related injury. A driver that chooses to abide by the no fault principle they will be covered by their own insurance company in the event of an accident and forfeit their right to sue the other driver for their medical expenses unless their expenses exceed a certain amount. Under the KY no-fault insurance system, you are required to purchase personal injury protection (PIP) coverage that helps pay the cost of injuries regardless of who was at fault in the accident. If a driver chooses to follow the traditional tort system rather than go with a no fault policy they retain the right to sue the other driver for the damages. Anyone who registers, operates, maintains, or uses a motor vehicle in Kentucky is deemed to have accepted limitations on their rights to sue and be sued (tort rights). This means injured people cannot recover medical expenses, wage loss, other expenses, or pain and suffering from the at-fault party unless their injuries exceed certain thresholds. The thresholds are $1,000 in medical expenses, a broken bone, permanent disfigurement, permanent injury, or death. If all members of a household reject the limitations on their rights to sue and be sued, guest Personal Injury Protection coverage must be included on their insurance policy to provide basic PIP benefits to guest passengers and pedestrians. Liability premiums may be higher due to no-fault rejection, since others will have the same right to sue the rejector for injuries that do not reach the thresholds. If a no-fault rejection form is on file, that individual is not entitled to receive basic PIP benefits. Individuals who have rejected can “buy-back” the basic PIP coverage. Kentucky requires basic PIP coverage on all motor vehicles except motorcycles. Basic PIP is to be paid by the insurer of the vehicle in which the injured person is riding at the time of an accident, or the vehicle that strikes a pedestrian, regardless of who was at fault in the accident. Basic PIP provides up to $10,000 per person per accident for medical expenses, lost wages, and similar “out of pocket” costs due to an injury. Higher benefits and deductibles are optional. Individuals with excellent health insurance benefits may elect to carry only a minimum PIP policy. When buying the basic PIP coverage in Kentucky you forfeit your right to sue the other driver in an accident for the cost of injuries, unless the cost exceeds a certain level set by the state. Kentucky insurance companies will allow you to buy back that right (even though you carry PIP) for an increase in your premium. This is what "buy back" PIP refers to, paying an increase in your insurance rates for carrying PIP so that you can still retain your right to sue another driver instead of giving up that right as you would under a normal PIP insurance plan. You can get Uninsured/Underinsured Motorist coverage (UM/UIM) to cover bodily injury caused by an uninsured and/or underinsured driver. This protects a driver in case they are involved in an accident and the other party is not adequately covered by an auto insurance policy. Kentucky does not require drivers to purchase this coverage, but you should consider purchasing this valuable coverage. Not every state in the US requires their drivers to possess liability insurance; therefore, it is highly recommended that motorists carry uninsured/underinsured motorist insurance. All too often, a driver will be involved in a hit and run, or be hit by a driver who does not possess insurance or whose insurance is not sufficient to cover the costs incurred by the accident. If a driver has not elected to follow the no fault system this can leave them holding a bill for hundreds of thousands of dollars and no recourse to follow other than trying to personally sue the driver. In some cases, the identity of the driver may or may not be known and their assets may or may not be sufficient for the insured to be reimbursed in this lifetime. Uninsured/underinsured motorist insurance effectively provides additional coverage in these instances. Comprehensive coverage (also referred to as Other Than Collision) provides coverage, often subject to a deductible, for an insured vehicle that is damaged by incidents that are not the result of what is considered a collision. For example, fire, theft (or attempted theft), vandalism, weather, or impacts with animals are types of comprehensive losses. Collision coverage provides coverage for an insured vehicle that is involved in an accident or collision, often subject to a deductible. This coverage is designed to provide payments to repair the damaged vehicle, or payment of the cash value of the vehicle if it is not repairable. While neither are a requirement, it is recommended that all drivers in KY carry comprehensive/collision coverage on their vehicle. In the event that the insured is responsible for an accident, they will be solely responsible for any necessary repair to both vehicles. Learn more at the Kentucky Department of Insurance.